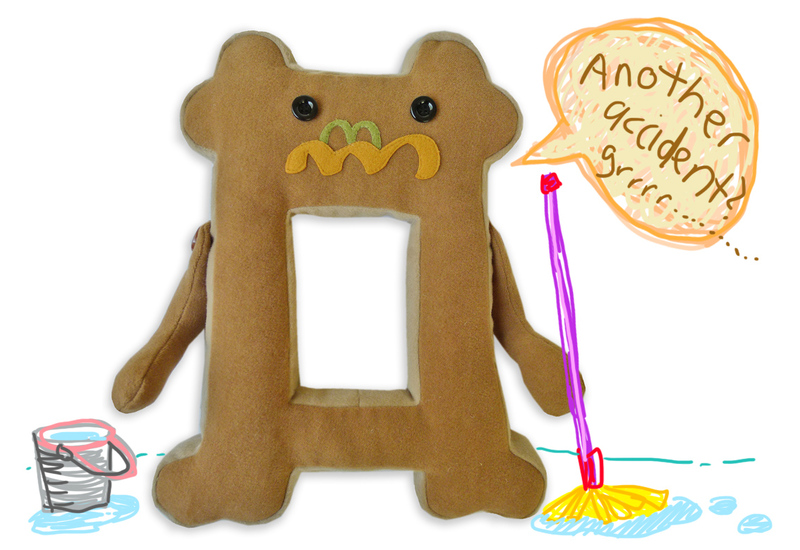 BigBrownMonster sets out to solve a very real problem that most parents face with this week’s craft…..THE DIMINISHING AMOUNT OF REAL ESTATE as things pile up in kiddos’ rooms. Of course we spring clean once in a while but new craft and toys often come along, kiddo gets emotionally attached and refuses to dispose of them. So here’s BBM’s solution with the very humble brown paper bag we can easily pick up from the supermarket. Take a brown paper bag and crush it up a lil to give it a bit of texture (optional). Trim down the mouth of the bag to your desired length. 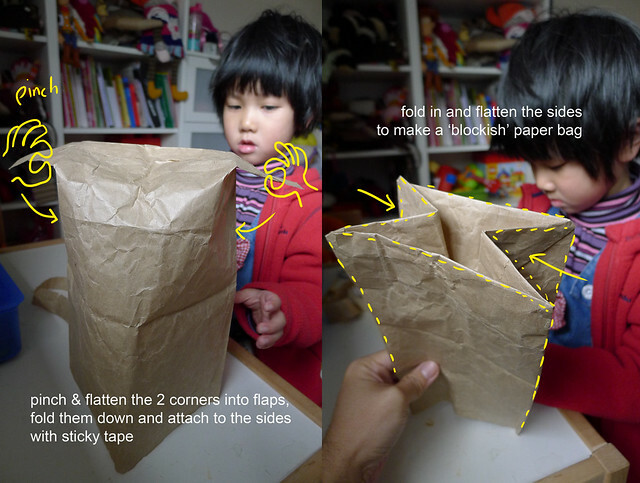 For this session, we had only ‘pocket’ type of paper bags in the house. 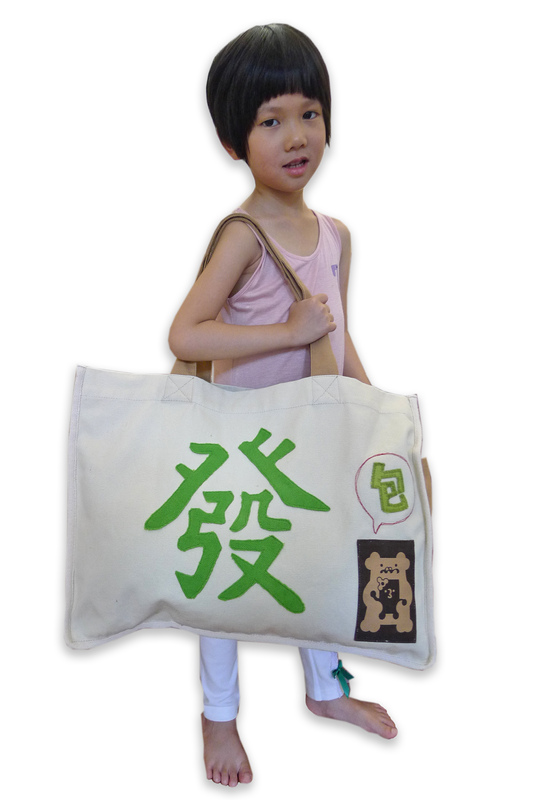 Ideally you may choose to use bags that are flat-bottom. 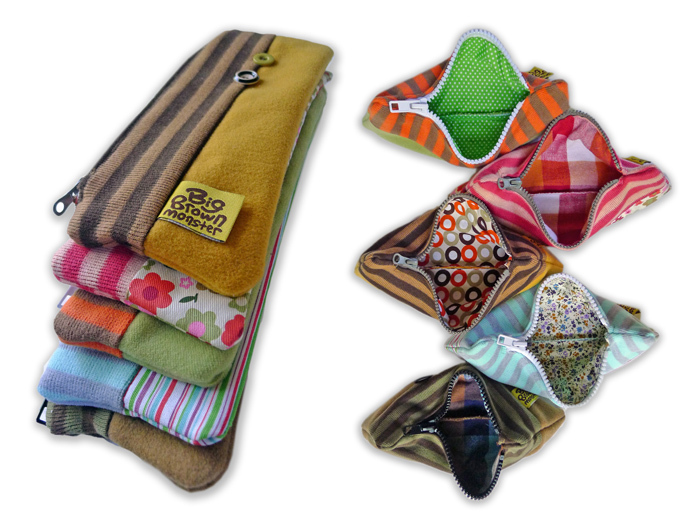 Regardless, BBM will show you how you can convert pocket bags to flat bottom ones. Once the mouth is trimmed down, double fold the edges to strengthen the area around it. This is crucial as you need the bag to stand on this end later. If you are using the pocket type of bags, you would need to pinch out the 2 corners, flatten them and fold them down onto the sides of the bag. Secure these 2 corners with sticky tape/glue. Once the corners are secured, fold them in and flatten the sides to make it into a ‘blockish’ flat-bottom bag. Cut out eyes, nose and mouth pieces with colour paper. 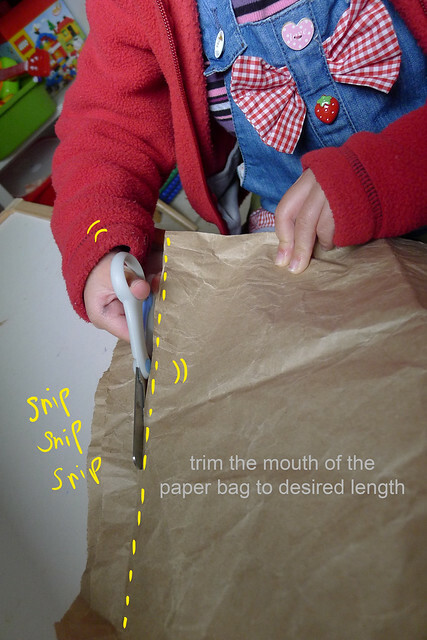 Attach them with glue onto the front facing side of the paper bag. 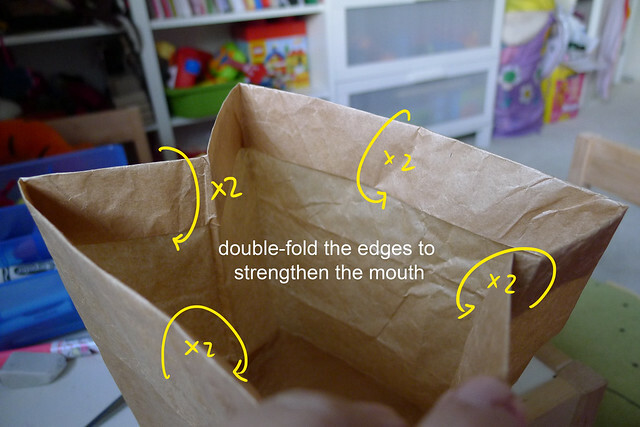 Make ears by sticking together 2 pieces of paper bag and fold out tabs at the bottom. 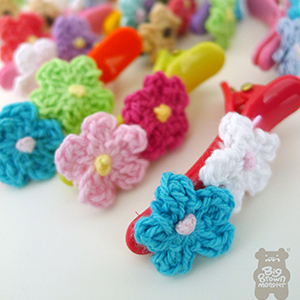 Attach the ears to the top and sides of BBM by applying glue on the tabs and sticking them to the main body. 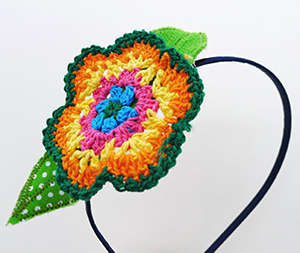 Poke a pipe cleaner through the sides of the bag. 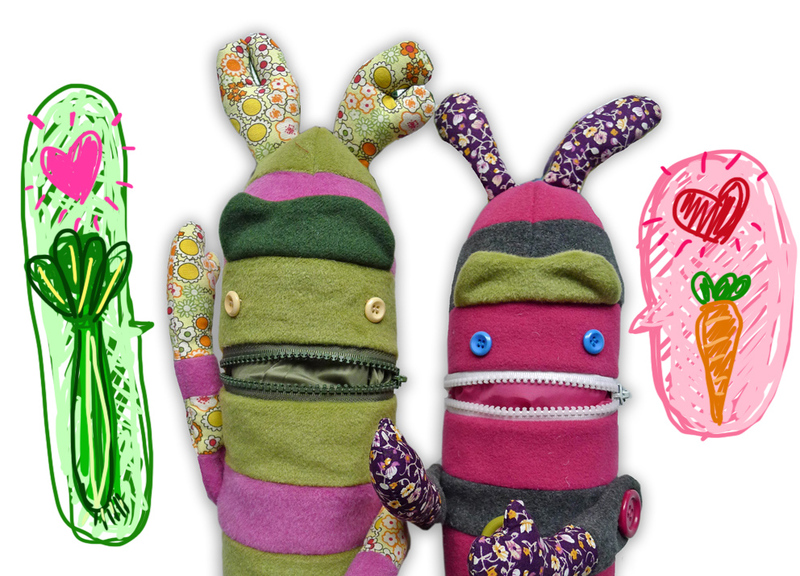 Make double-ply hands for each end of the pipe cleaner. Cut a small flap at the centre of the body and fold it inwards. Secure it with some glue. & its’ DONE! 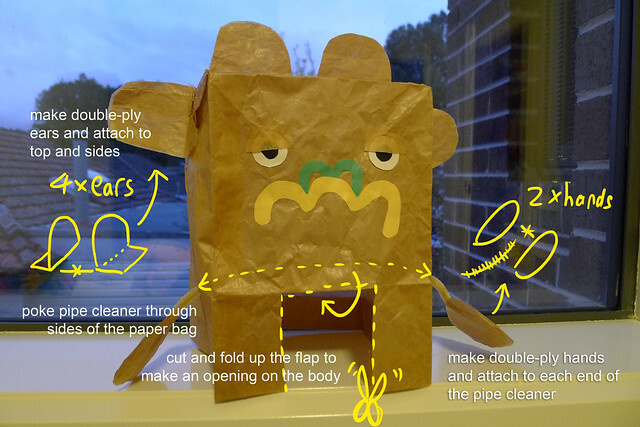 All you have to do is to prop up the bag and you will have your very own Foldable Big Brown Monster! To store it after kiddo’s done paying, simply flatten the paper bag. 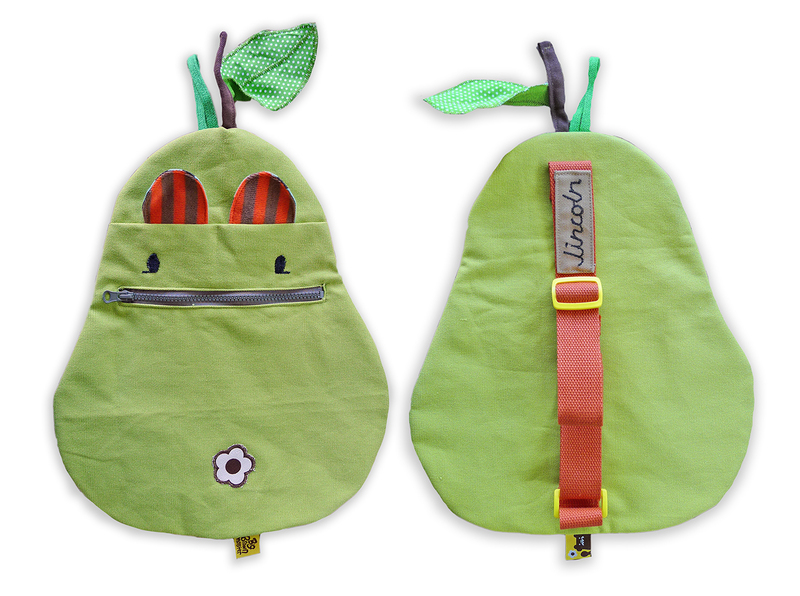 The ears should tuck away nicely into the sides of the bag. 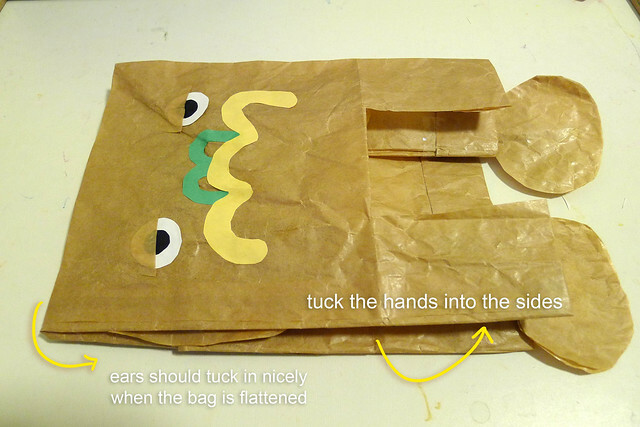 Tuck the pipecleaner/hands into the sides of the bag. 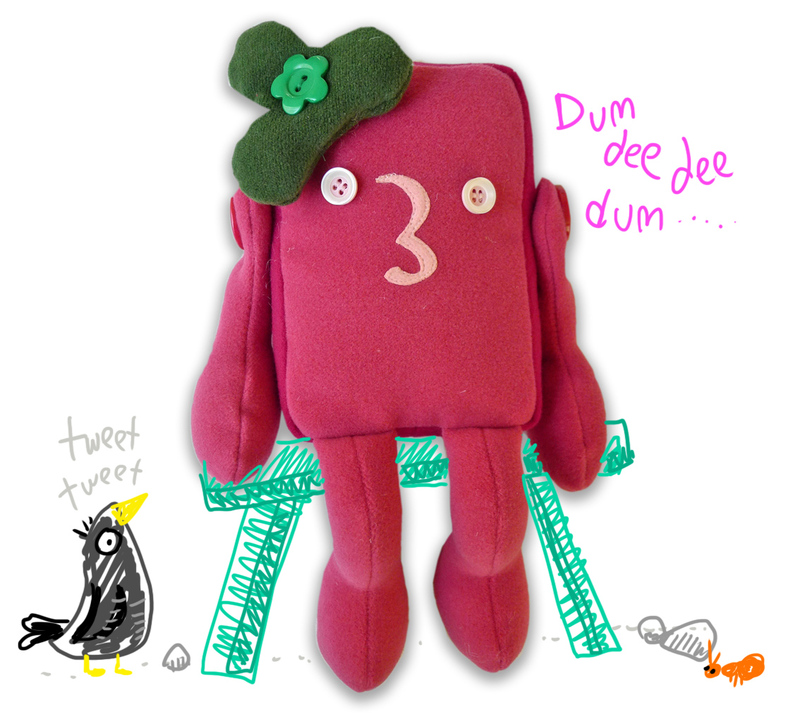 The toy can now be packed away easily! There are 1001 things you can do with paper bags. 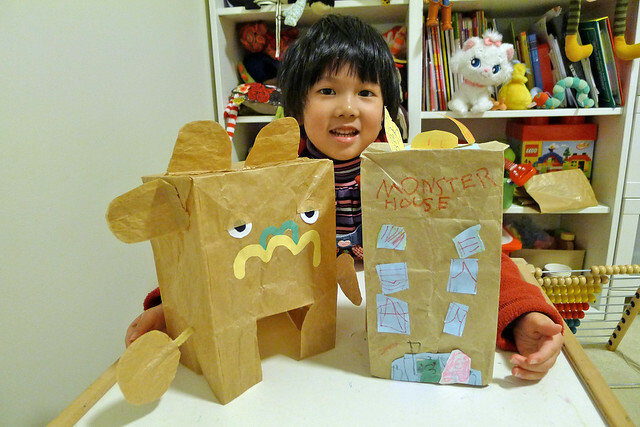 Here is kiddo’s take….she had decided to also make herself a Monster House paper bag highrise apartment, complete with a rooftop pool! Maybe one day she’d grow up to be an architect/developer lol. 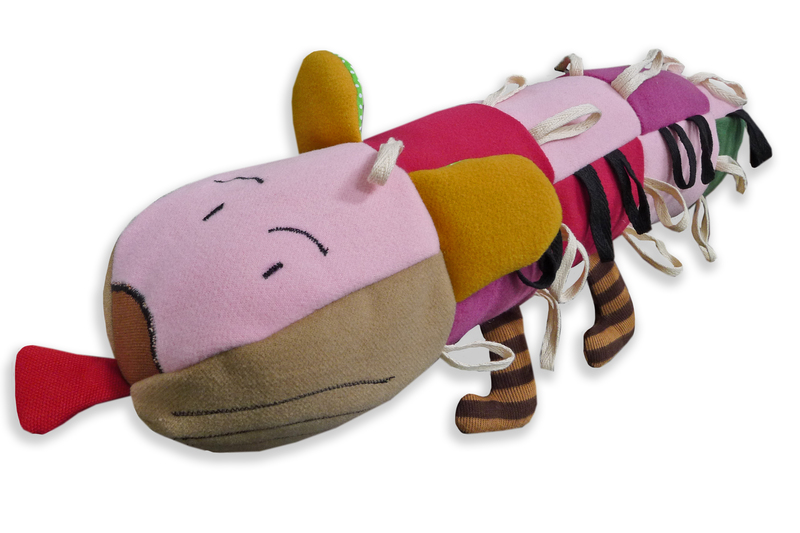 Give it a try this weekend and post your kiddo’s creation on BigBrownMonster’s Facebook page! Looking forward to see all your creations!